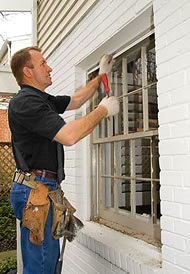 Our focus and specialty has been window and door installation, but our expertise had expanded over the years. Please take a look at what we can offer your project. Ruhlman Eilers Construction can address a specific remodel project for your home or business or conduct a more comprehensive project plan and implementation, based on your needs. Please contact us to learn more about our services and how we can best assist your next building project.